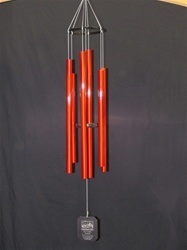 Eco Wind Chimes is accepting holiday gift guide requests for wind chime product reviews. Qualified members of the press will receive a free wind chime product and an interview with Stephen Betzen. I am so confident the press will be singing our praises that I am willing to do a mass giveaway to qualified reporters. Eco Wind Chimes is giving away free wind chimes. Qualified members of the media are invited to submit story requests for gift guides, product reviews, or celebrity gift bag events for the 2012 holiday shopping season. Eco Wind Chimes’ products are American made and sourced. The company also prides itself on promoting sustainability through its environmentally friendly and socially conscious mission. Members of the press can submit their story requests to Helene Vece, Media Manager for Eco Wind Chimes. “I need a short paragraph, an editor’s phone number, and a deadline date,” said Vece. “We are hoping the requests come in sooner than later to allow enough time to credential each media member and ship the wind chimes in time for the 2012 holiday season.” Story requests can be submitted by calling (702) 749-5925.